Through Infinity are a Croatian new age instrumental progressive rock band, with a multinational personnel. The band was founded in 2017 by Josip Pesut (guitars & electronics), with Tomo Bacurin (keyboards and producer) and Tomislav Lackovic (bass) forming the core of the group. As recording progressed they added other members; drummer Damir Somen, guitarist Antony Reynaert, and traditional instruments/woodwinds courtesy of Safiudin Alimoski and daughter Dulijana. This track Shine is taken their debut album The Life, which was a long time in coming to final fruition and contains eleven tracks. Shine is a perfect showcase for the band’s unique sound and musical abilities. You can detect the influence of great guitarists like Steve Vai and Joe Satriani, as well as the instrumental music of artists like Yanni and the Japanese instrumental band The Black Mages. Starting with swirling synths, combined with powerful bursts of guitar and drums, its first main section centres around a rolling bassline and syncopated drums. A sparse guitar line weaves over the top, then becomes much more expansive in the second section, which rhythmically alternates between halftime and full time. There is some mellifluous high-end lead guitar, which is tightly structured and melodic rather than a gratuitous display of virtuosity. This progresses to sections where synth and bass play in tandem then combine with the guitars in glorious harmony. The drumming throughout is superb, full of nuance and tasteful fills. integrating perfectly with the rest of the music. Through Infinity understand that there is more musical power in synergy rather than individual virtuosity, though the whole group are extremely accomplished musicians. Overall, Through Infinity are master practitioners of their craft and have set the bar very high with this instrumental single. 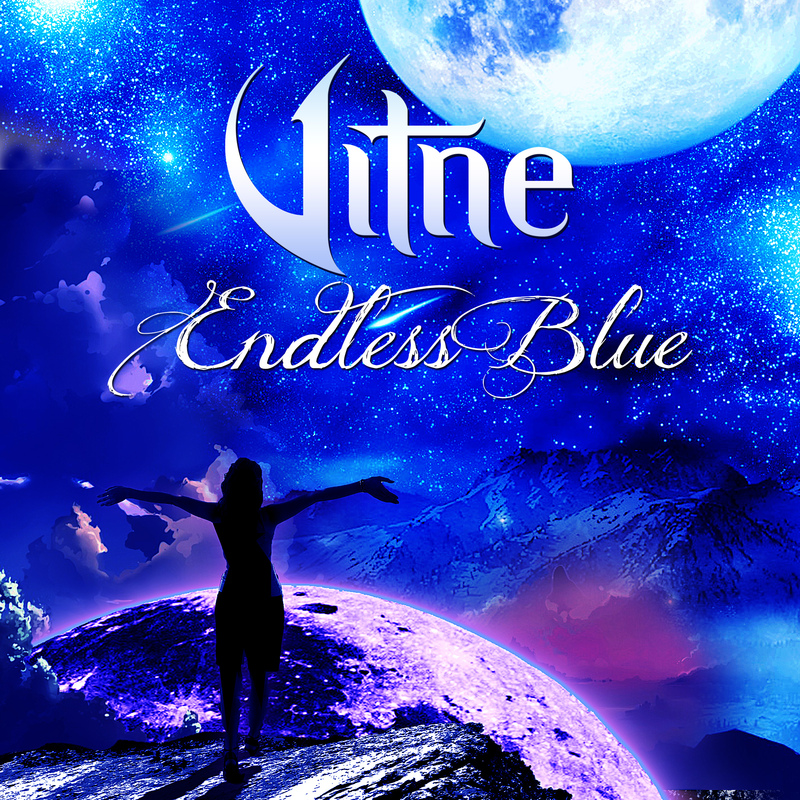 As their significant popularity on YouTube suggests (circa 300,000 views for this track), there is a massive fanbase for high quality new age progressive rock and Through Infinity have carved a stylistic niche of their own. I expect their success and fanbase to increase exponentially with every further release. Robin B. Czar is a singer, songwriter and multi-instrumentalist who is German but currently resides in Canterbury, England. He has developed a cult fan base owing to his unique sound; it is a fascinating fusion of old school hard rock/metal like Black Sabbath, with more modern influences such as Marilyn Manson and HIM. Vocally, he has an immediately distinctive tone reminiscent of David Bowie and Buzzcocks singer Howard Devoto. He has released three albums, Nachtgesange, Kiss from The Abyss and Mission Bizarre, which I reviewed a couple of years back. This E.P., Once Upon A Scary Night, consists of three tracks which form a ‘trilogy about a fictional character’ who goes through an emotional journey portrayed across one night that resolves the next day. For the fans who love his established sound, they will be pleased to know it retains the virtuoso musicianship, darkly humorous lyrics and ambitious, sophisticated arrangements that have become his trademarks. Opening track Candle In The Rain begins in a blaze of Avenged Sevenfold-esque guitar pyrotechnics, displaying Robin’s incredibly fluent style, grabbing the listener’s attention immediately with a swirling riff that he harmonizes to great effect. The first verse depicts a life of misery over a sparse musical backing: “Another endless day has passed, another sleepless night begins.…”. The bridge/pre chorus bursts out of the speakers in a blaze of guitars and syncopated rhythms, the lyrics even darker: “The torture never stops, its like a nightmare without waking up…”. Then the gloom is relieved by the instantly catchy title hook which refers to the fleeting and fragile nature of life: “Like a candle in the rain, everything’s vain in the end….”. After the second chorus there is an excellent instrumental passage, first with a short half time section featuring beefy, low-end riffage before launching into a fantastic solo, again featuring Bat Country-style duel guitar harmonies, then one last chorus. Second song Until The Morning Breaks is a complete contrast musically, but carries on the nocturnal theme. This one is a brooding, intense epic rock ballad which starts with a lilting piano motif before a sparse but effective beat kicks in and Robin portrays a bleak, gothic scene: “The raging wind’s outside… the winter storm, it howls, it’s banging at the door….ghosts from forgotten graves come to you in need….”. It builds gradually in intensity across the duration of the track, with atmospheric synths and subtle lead guitar work adding to the texture. The central theme of the ‘dark night of the soul’ is captured in another memorable chorus: “In sombre silence you sit in here and wait…until the morning breaks….”. After the second chorus there is an instrumental section with a concise, well structured solo played in octaves. It ends poignantly with the return of the piano phrase. The final track Kill Everybody, is again in strong contrast to the previous song, this one hurtling along at a hectic pace, though not quite what you’d classify as speed metal. It shows Robin’s macabre sense of humour for the first time on the E.P., with a scenario in the lyrics reminiscent of the film Falling Down, about a man who cracks from stress and starts taking revenge on whoever has slightly wronged him. Robin clearly has his tongue in his cheek as he sings: “Now is the girl who gave the wrong change, now it’s too late for mercy or tears….”. It leads to the joyously delivered chorus hook: “Kill everybody! Now it’s payback time….”. After the second chorus, Robin wrong foots the listener once more, reducing the tempo drastically for a build up section that airs grievances in a humorous fashion: “They do the same job, but get paid a bonus on top….”. Then ensues a return to the machine gun kick drums of the first half of the song, Robin delivering the best guitar solo of all, performed with a mellifluous, silky tone to bring things to a satisfying musical climax. Overall, this is an excellent E.P. that’s works as a complete whole rather than just a collection of separate songs based around a lead single, as is usually the case. Robin B. Czar can lay claim to a genuinely original sound and style, melding rock (classic, prog, and industrial) with elements of heavy metal, then throwing quirky, eccentric lyrical themes shot through with Gothic black humour into the mix. It all adds up to an entertaining sonic concoction and this E.P. raises the bar even higher in the context of his previous work. Rock/metal fans looking for something a little left of field are implored to give him a listen! An Electronic Hero is the musical brainchild of Federico Foria and this E.P. An Electronic Sphere consists of five tracks, most of which are instrumentals. 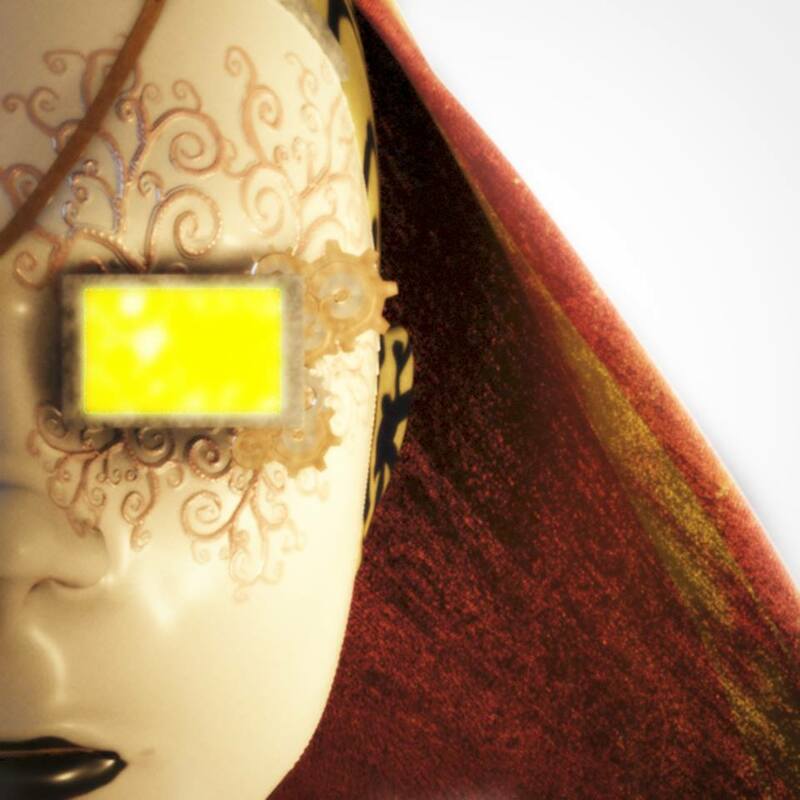 The music is complex and ambitious with a concept behind it, described as an exploration of the human soul in the electronic age. Musically, it is an inventive and eclectic blend of several genres, including ambient, house and even progressive rock. Opening track Little Planet gradually weaves a tapestry of intertwining synth melodies that work together well in combination, a pulsing four to the floor beat emerging halfway through with a voice exclaiming “Let’s go!” and the main high melody returns till the finish. Second track Asteroid has a very catchy main synth riff which is added to by supporting melodies as the track goes on, with a subtle kick drum that punctuates the music intermittently. Third track Oxygen is faster paced, beginning with epic orchestral synths and rolling timpani before another memorable melody takes the lead. An urgent beat kicks in but, again, only briefly, soon dropping out to give way to the layers of textured synth lines. I loved the oboe type sound and the cluster of harmonies around it. Fourth track Sun is radically different, featuring the lead vocals of Mariax drenched in distortion (perhaps symbolizing the burning heat of the sun) which gives the music a real edge. I loved the simple four note lead synth line around which Mariax bases her vocal melody as well as the swirling melody that envelops it. Final track Moon is quite the opposite, the various mellow, floating melodies evoking the mysterious nature of the moon, and I could hear how prog rock band King Crimson were an influence here. It is by far the longest at five and a half minutes and a great finale. Overall, this is a very well composed and produced E.P. of inventive and original electronica that has already gained a strong fanbase online. An Electronic Hero makes music with more thought and depth behind it than most, and now is the perfect era for it to reach a wide audience, which I have no doubt it will. 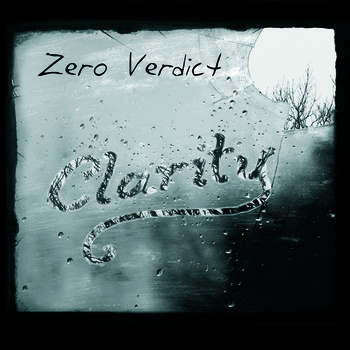 Zero Verdict are a progressive rock/metal band hailing from Finland featuring former members of Machina, King’s Ruin and Vermivore. Their sound is a mixture of progressive rock influences like Rush and Dream Theater but with the heavier guitar sound of, say, Avenged Sevenfold. The exceptionally high level of musical ability is the first thing that becomes apparent on Clarity, their first E.P., though there is not the slightest trace of self-indulgence as is often the case with highly proficient musicians. The opening song, The Perfect White Lie, begins with an exciting, wiry guitar riff that hooks the listener straight away. The song pulls off the neat trick of effortlessly juggling complex time signatures whilst remaining accessible to the average listener. This is due to the highly anthemic chorus, aided by the powerful vocals of Sami Huotari. Many rock bands have excellent musicianship but are let down by their vocals, this is not the case at all with Zero Verdict. Despite the rhythmic complexity, the catchy chorus hook ensures instant appeal, and this memorable song is the obvious single and leading track. The songwriting, by guitarist Tapio Mattila, (who also wrote the next two tracks) is first class, with a verse/bridge that builds to the epic chorus with consummate craft. A taut, perfectly constructed guitar solo is another highlight. Most progressive rock bands find a limited audience, but Zero Verdict keep their prog tendencies in check and it succeeds as simply a heavy rock/pop song, as commercial and potentially popular as a band like Evanescence, and they should not be ashamed of that. A band like Rush have shown you can have your progressive rock cake and eat it! Next track Alone is also strong, beginning with a lilting guitar riff in 6/8, the song building into a slow epic that is lengthy but never dull for a second. This track also features a memorable chorus and is much higher quality than you’d expect for a second track on an E.P. Most bands usually have one strong lead-off song and three filler tracks. Third song Lost In a Haze is seven and a half minutes long and features several time-signature changes like the first track, all achieved in a way that doesn’t interrupt the flow of the music. Another fine piece of composition, this one is notable for an incredible passage of duel-guitar interplay that would put Dragonforce to shame. Unusually, the title track of the E.P. is placed last and begins with a gentle, plucked acoustic guitar. It gradually builds into another colossal epic, with perhaps the most anthemic, singalong chorus here. It also features some effectively atmospheric keyboards by non-band member Jukka Tappola. This is their ‘lighters-in-the-air’ rock ballad and provides an excellent finale to one of the best E.P.s I’ve heard either as a music listener or reviewer. From the songwriting, to the musicianship, singing and production, there is nothing here that is not of the highest quality. If there’s any justice, Zero Verdict will become as massive as their sound.